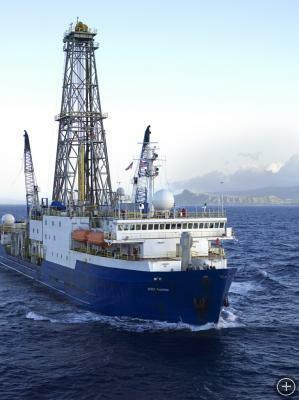 One of the most sudden and dramatic climate changes to impact the earth occurred some 30 million years ago: This was the transition from a Greenhouse World, when ice caps were largely absent and the earth was much warmer, to an Icehouse World with extensive polar ice sheets, exposed land along the continental margins, and glaciers that periodically extended into the lower latitudes. 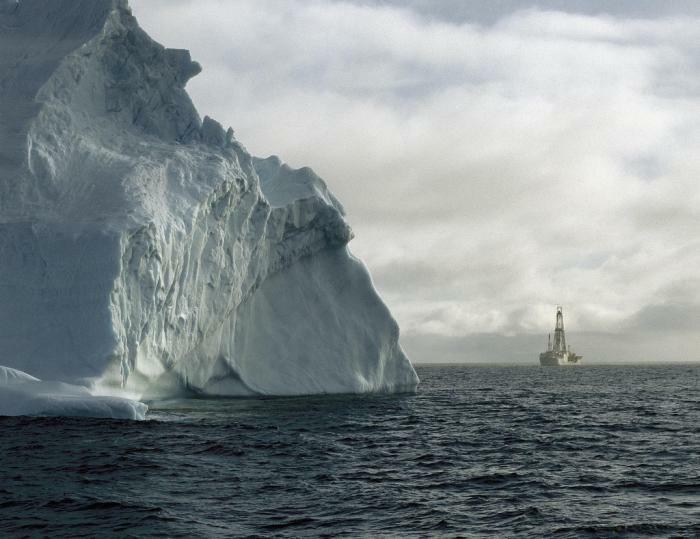 Investigating this climate switch, thought to be mediated by changes in atmospheric carbon dioxide concentration, will help scientists better understand what triggers vast environmental changes that fundamentally affect life on earth. 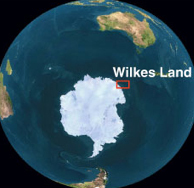 Ground zero in these studies is the area just off the coast of the East Antarctic Ice Sheet, the world’s oldest and largest polar ice field. 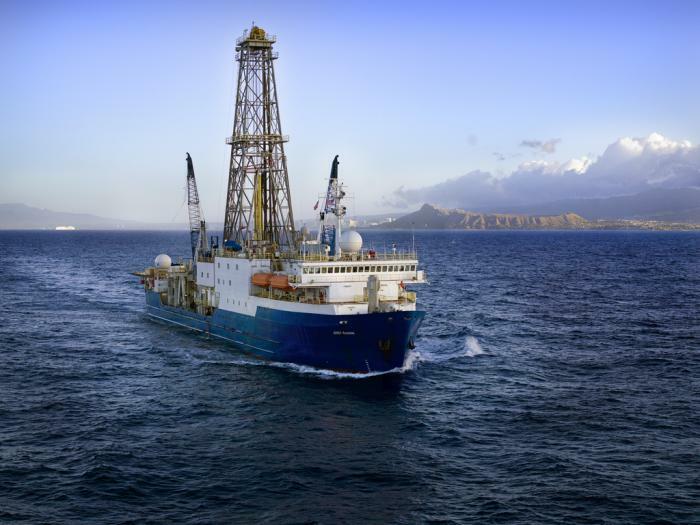 By drilling into deep ocean sediments along Antarctica, scientists hope to uncover the earth’s climate history from a time when East Antarctica was largely ice-free, and to investigate its transition to the glacier-covered continent we know today. 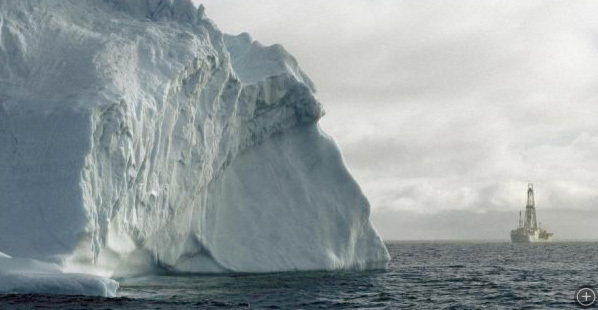 Investigating this history, and the effect of increased carbon dioxide and other greenhouse gases on polar ice sheets, will help fine-tune computer models and lead to a better understanding of the climate changes we’re experiencing in the present day. 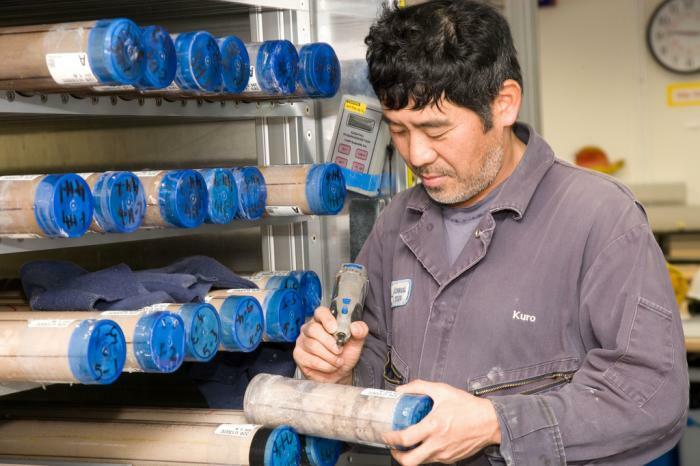 An example of a cross-section of a sediment core. 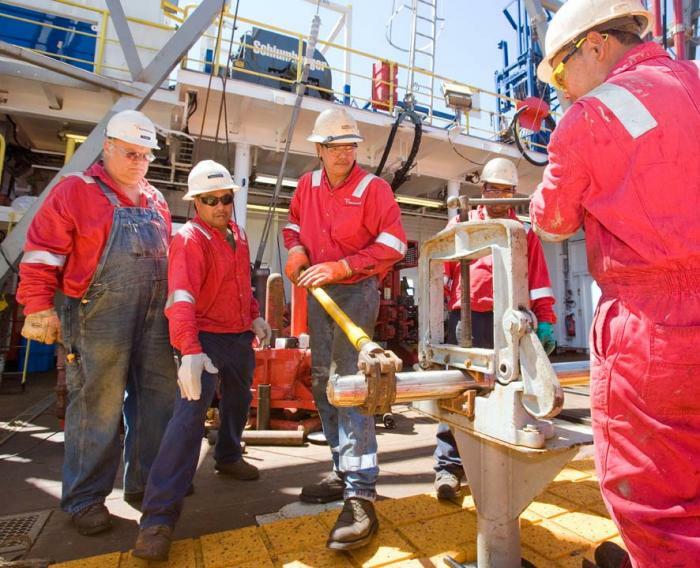 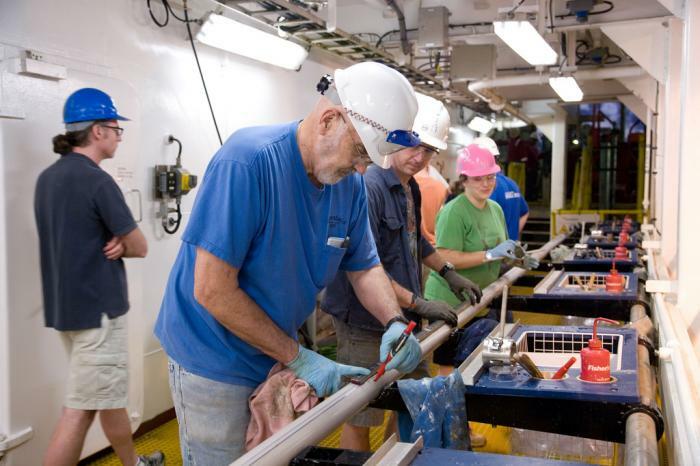 Co-chief scientist Carlotta Escutia led an international team of marine geologists and climate scientists aboard the JOIDES Resolution, one of the most sophisticated ocean-drilling ships in the world. 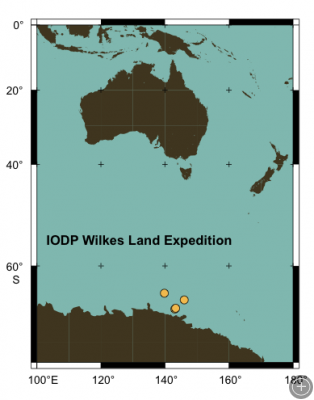 They set off from New Zealand in early 2010 to drill cores and collect sediment samples off the coast of Wilkes Land, a region of East Antarctica south of Australia that’s thought to have been the final area to become ice-covered during the last great climate transition.Marine geochemists Rob Dunbar and Christina Riesselman from Stanford University reported from this history-making expedition. Planned drilling locations (yellow markers) for the IODP Wilkes Land Expedition. 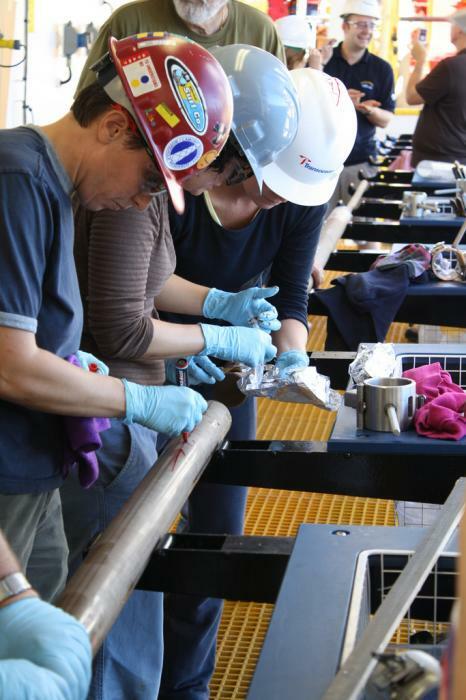 Remote sensing allows geologists to peek under the ice—and find a big surprise.